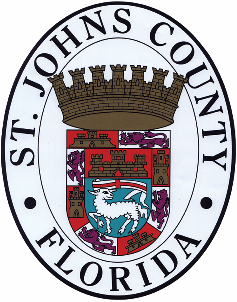 St Johns County, established in 1821, is primarily made up of residential communities with additional new home communities popping up all the time due to its rapid growth in population. People from all over the world are moving to this sunny paradise for its low tax county taxes, no state income tax and all the fun things to do outside such as golfing, boating, surfing or fishing. The counties many beaches along with the St Johns River and the Intracoastal Waterway are a large part of the economy as well as offering a plethora of options for fun in the sun~! If you are an avid golfer the county is home to world class courses. Plus St Johns County Schools are some of the best in the nation often being raked #1 in the state of Florida and as high as number #10 nationally. There is quite a bit of population growth and new construction homes for sale in St Johns County are readily available. Some of the main areas for new houses, homes and real estate for sale are Ponte Vedra, Ponte Vedra Beach, Nocatee, Saint Johns, Julington Creek, County Road 210 Corridor, World Golf Village, Saint Augustine and Saint Augustine Beach. Here you will find new construction homes from great builders like Standard Pacific Homes, DR Horton, Lennar, SEDA Construction, Dream Finders Homes and many others. If you are considering a home you should also consider a new build...new homes are built to the most recent standards and county codes which in turn gets you the most wind mitigation credits possible. This can reduce your insurance costs significantly...we have seen 300k new homes be able to secure insurance for as low as $650 per year. In addition, new homes have lower utility costs due to the same codes and standards and most new homes have Low-E windows, blown in celulose insulation in the attic, higher seer air conditioners and even more efficient appliances and lighting. Our team has had great success negotiating all the closing costs and prepaids into your purchase contract and many times we can even get the refrigerator, blinds, washer, dryer and sometimes even the screened porch and fenced yard. We try for all the bells and whistles and will work with you to customize the offer terms to your needs. Whether you are looking for a community with low hoa fees or a big master planned community with huge amenities we are familiar with all the options for a new houses for sale in St Johns County. We will never try to sell you a home....our job is to educate so YOU can make informed decisions - after all, you will know when it's right~! Let us know about the home you are looking for and we will gather up all the new options for you review.